As we are developing new features in OpenERP Point of Sale, here are some more important features that we have implemented in OpenERP 7 Point of Sale. – Display product quantity in different warehouse from POS. Here in below screen we can see that we can define maximum limit of discount and password. 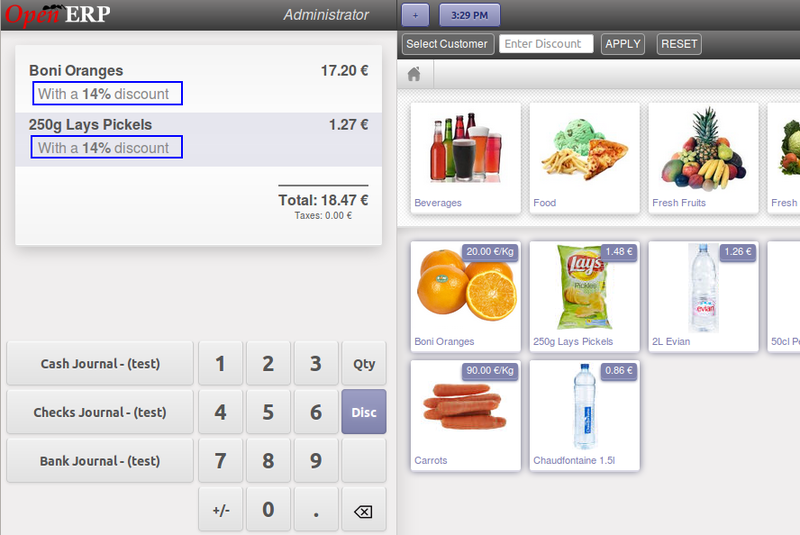 We can also define users, and point of sale who can access this discount features during point of sale operation. This is a normal screen from where we can define discount and right now we can see that we have displayed products which have quantity > 0. Now when we click on any product, so immediately we will have this kind of view, and we can see big image of that product and we have a link here “Details”, which will open warehouse list with number of quantity of this particular products. For discount to be apply on all products in the order, we can enter amount in this field. So we have discount applied on all products in the list. If user is trying to enter discount more than given limit, then it will ask for password, and if password is correct then only given discount can be applied. Here is the receipt which has discount amount displayed with each products. 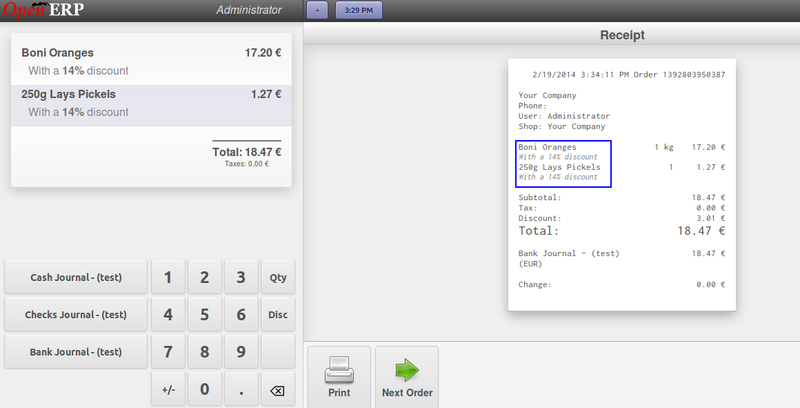 And the same discount is transferred in the backend order also. 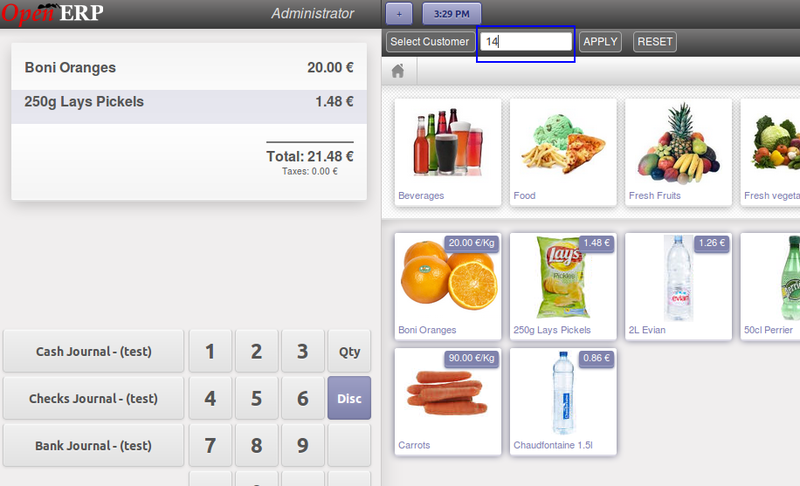 Here is one more feature that we have developed in OpenERP Point of Sale. We can restrict users to allow discount from Point of Sale. There are many different way to apply discount from Point of Sale. We have just tried to show one of the way.